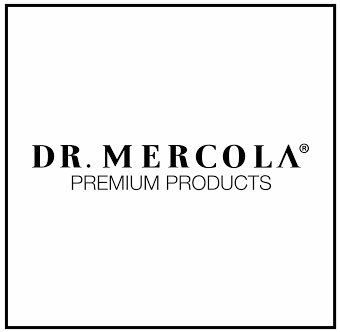 Browse our favorite products and best sellers. You’ll definitely find something your four-legged friend will love! 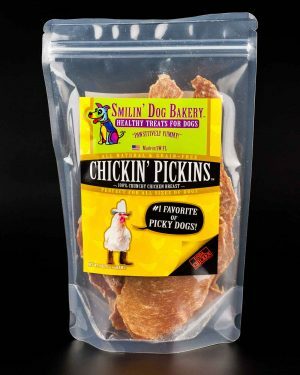 These crunchy little dehydrated dog treats are perfect for picky dogs. The heart of the chicken is a lean protein that contains fatty acids and vitamin A along with iron and B vitamins. Because they also contain taurine, chicken hearts are good for your dog’s heart. Calling all dogs, let your owner know you want these every day for LIFE! A favorite of even the pickiest dog, try it and see! Our Chickin’ Pickins are made with USDA all-natural chicken breast meat 100% natural, no additives chicken breast. 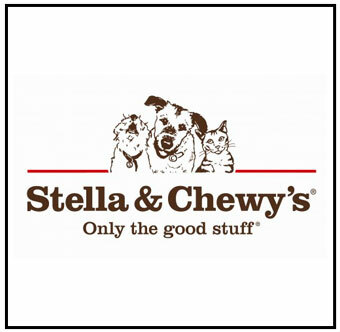 Dehydrated into chewy, crunchy slices of yumminess, perfect dog treats for instant satisfaction. Dogs go crazy for these super yummy slices of love! One of our top sellers! 100% all-natural grain-free. 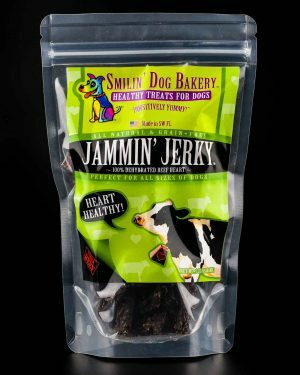 Jammin’ Jerky Dog Treats are a dehydrated jerky treat that has a chewy texture that our dogs LOVE! 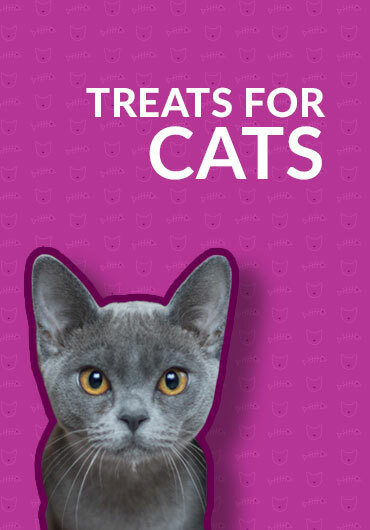 You can give your dogs these treats and feel you are giving the best! 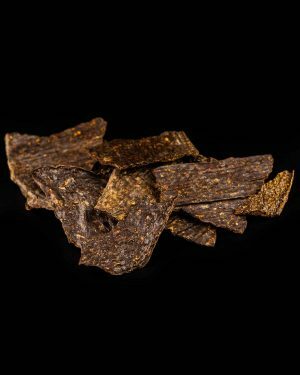 These jerky type dehydrated dog treats are crunchy and chewy both, your dog will absolutely love! The heart has a very concentrated source of the super nutrient, CoQ10. Coenzyme Q10 (CoQ10) is necessary for the basic functioning of cells, as well as optimizing the heart’s rhythm. CoQ10 levels are reported to decrease with age and to be lower in some patients with some chronic diseases such as heart conditions, cancer, diabetes, and immune disorders. 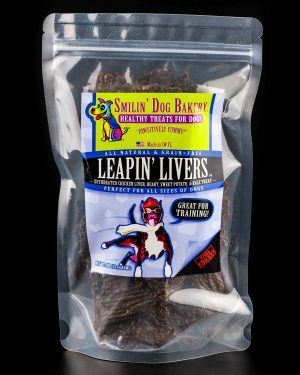 Leapin’ Livers are a favorite training treat here at Smilin’ Dog Bakery. Our dogs like them sprinkled on their food each day! 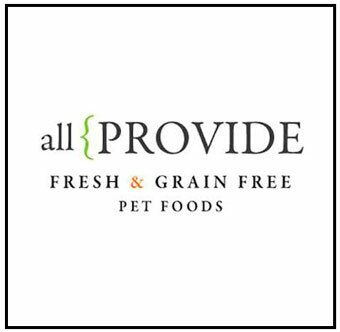 100% all-natural grain-free This is a new recipe we are very excited about, they have been tested by my 3 dogs and I got 2 paws up! 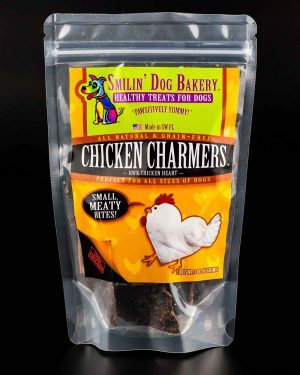 These liver snack dog treats are very appealing for finicky dogs and a favorite of small dog owners. The nutrient-dense organs provide protein, B vitamins, vitamin A, zinc, iron, niacin, copper and phosphorus. 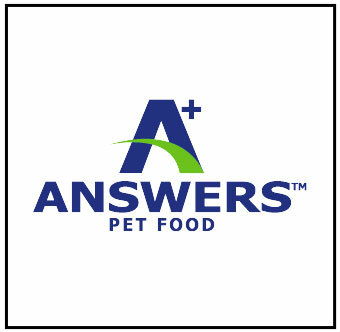 Chicken livers are a good source of omega-3 and omega-6 fatty acids, and amino acids vital to your dog’s health. 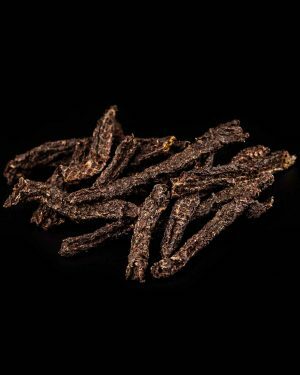 These also make excellent training treats because of their smelly taste that your dog will flip over! When you add chicken and coconut together you get “Nutty Chicken”! 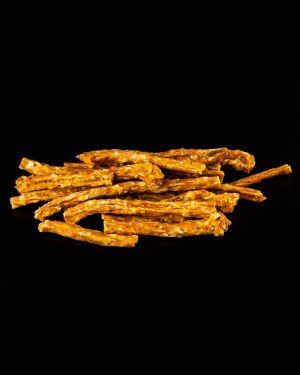 These crunchy sticks will have your furry friend howling for another hand-full! 100% natural, no additives chicken breast and yummy coconut. Dehydrated into sticks of yummy perfection. 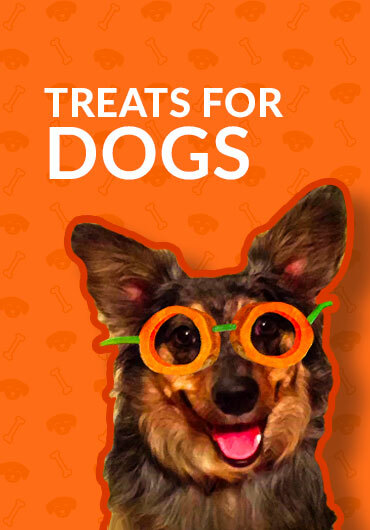 This dog treat will win over the pickiest of dogs! 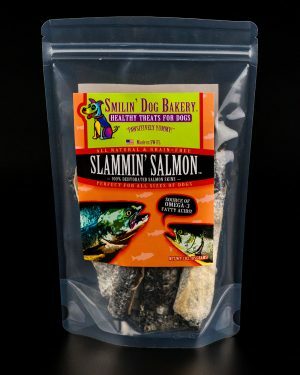 Slammin’ Salmon Dog Treats are making their way to the top of “favorites list” at Smilin’ Dog Bakery. The dehydration process removes the majority of the “fishiness” that some folks are concerned with. Give your dogs these and you will see them light up with joy! 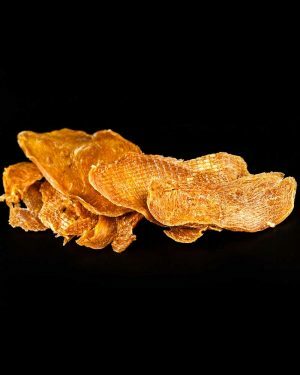 Salmon skin is an awesome dog treat as it has an abundance of healthy Omega3 fatty acids. These fats support the immune system and can be beneficial for skin and coat health. Some studies show an indication that they may benefit dogs with allergies. 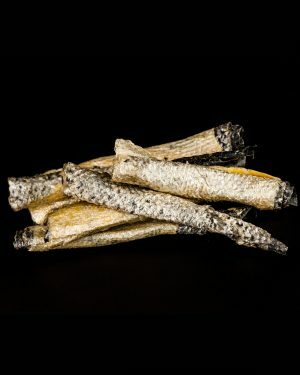 Dogs love these crunchy yummy sticks. When starting your dog on these, feed in moderation as the oil can be rich. 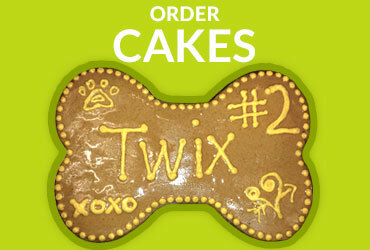 These will become one of your pups favorite treats and have them beggin’ for more! 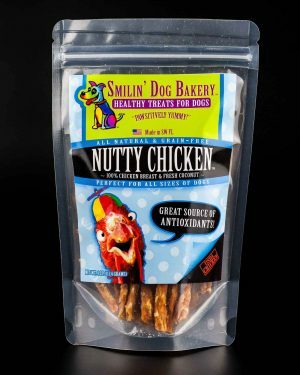 Smilin’ Dog Bakery proudly carries a variety of these healthy brands of food, supplements and chews. 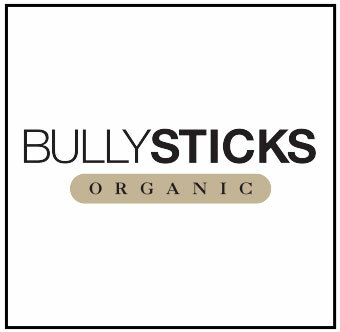 Our healthy dog treats are grain-free, with no preservatives, chemicals, salt or sugar. 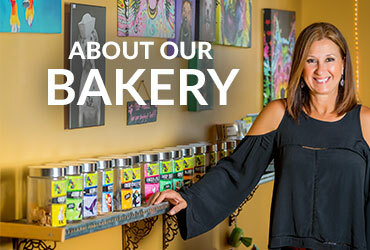 Everything is made fresh, right here in our store! 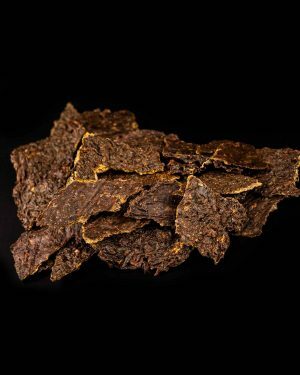 We dehydrate and package by hand. 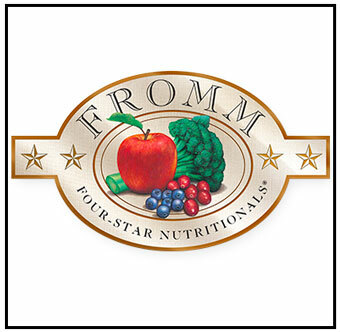 We offer samples of everything we make so picky eaters can try before they buy! 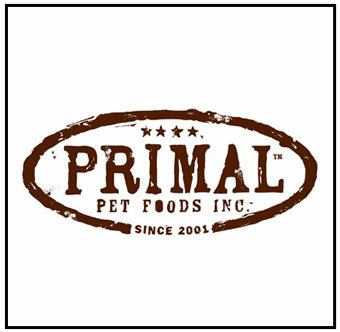 Interested in carrying the Smilin’ Dog products in your store? Please contact us to learn more about our wholesale opportunities.